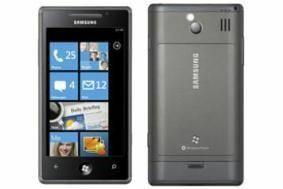 Microsoft launches Windows Phone 7: new handsets revealed | What Hi-Fi? As well as a choice of handset models in the UK with Windows Phone 7, there will also be a variety of network providers on offer. Apps, games – with Xbox branding – and Microsoft Office capabilities are all part of the Windows Phone 7 package, and there are plenty of handsets to get your teeth in to from the off. Dell's Venue Pro comes with a slide-out QWERTY keyboard and a 4.1in AMOLED touchscreen. Rumours abound about a tie-in with O2 for this handset but no network has been confirmed as yet. HTC has launched five handsets in total, with at least three heading over to the UK. The HTC HD7 is the flagship model and will be on O2 in the UK. A 4.3in, 480 x 800 resolution screen, support for Dolby Mobile and a choice of 8GB or 16GB hard disk drives are the stand-out features. It's joined by the 7 Pro, 7 Mozart, 7 Trophy and the US-only 7 Surround. Next in line is LG, launching its Optimus 7 handset – note the proliferation of 7 in these model numbers. It has a 3.8in, 800 x 480-pixel screen, a 5 megapixel camera, 720p video and 16GB of storage. Finally, the Samsung Omnia 7 (pictured) has a 4in Super AMOLED screen, 1GHz Qualcomm processor and 8GB of storage, as well as a 5 megapixel camera capable of capturing 720p high-definition video.